The British Academy of Film and Television Arts (BAFTA) has held its annual award ceremony for the video-game industry. The 2018 event was a great success for Nintendo, which took home three prizes, and for the dark fantasy action game Hellblade: Senua’s Sacrifice, which scooped up five of the prestigious awards. The Best Game category was won by What Remains of Edith Finch. 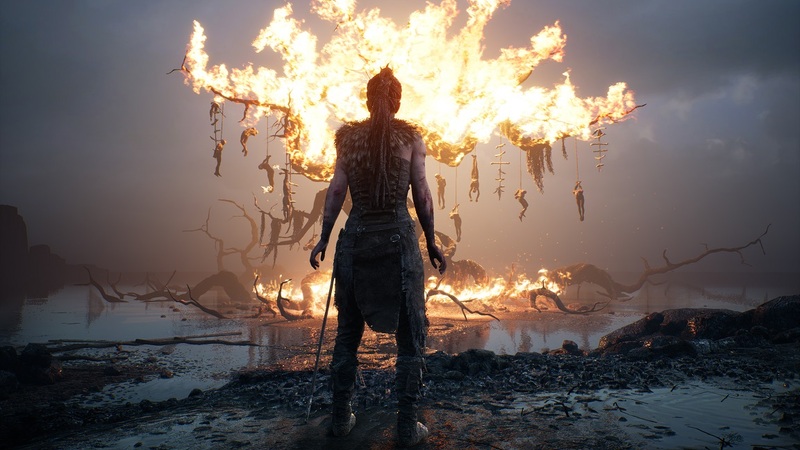 Ninja Theory’s adventure game, Hellblade: Senua’s Sacrifice, was the big winner at the 2018 BAFTA Game Awards. The title, which revolves around a Pict warrior dealing with loss, psychosis and demons, won five categories including Artistic Achievement, Audio Achievement, British Game, Game Beyond Entertainment, and Performer (for Melina Juergens as Senua). Nintendo was successful in three categories, picking up the awards for Family and Game Design (both for Super Mario Odyssey) and for Game Innovation (The Legend of Zelda: Breath of the Wild). The important Best Game award went to the mystery adventure What Remains of Edith Finch, which was developed by the American company Giant Sparrow. Big hitters like Fortnite, Rainbow Six Siege, and PlayerUnknown’s Battlegrounds received nominations but failed to win in their categories. The Evolving Game Award went to Overwatch and the Multiplayer category was won by Divinity: Original Sin II. The BAFTA Game Awards have been held since 2004 (for achievement in the previous year), and big winners over the years have included Grand Theft Auto: Vice City (2004), Half-Life 2 (2005) and Wii Sports (2007), all with six victories each.